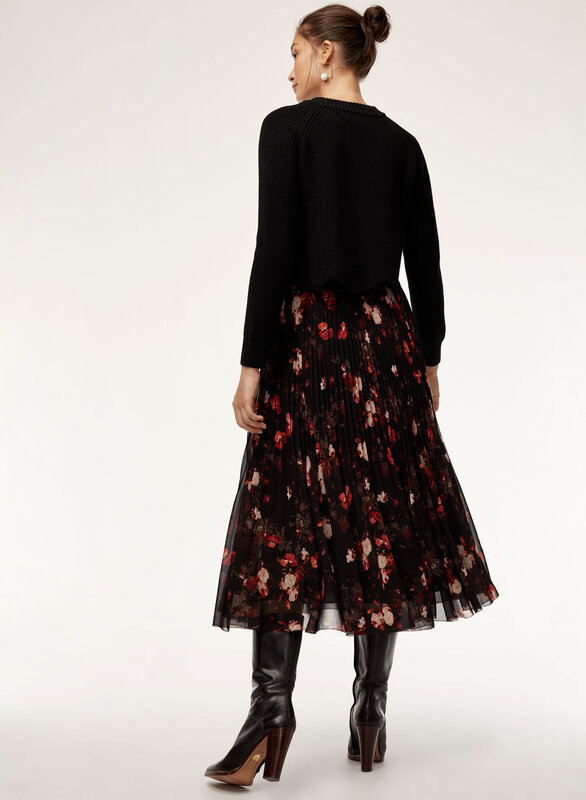 Styled with sardou sweater . 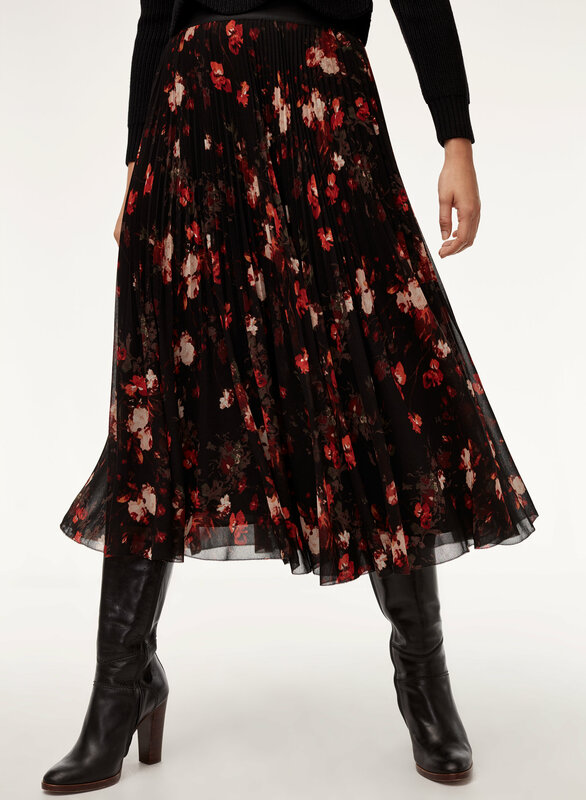 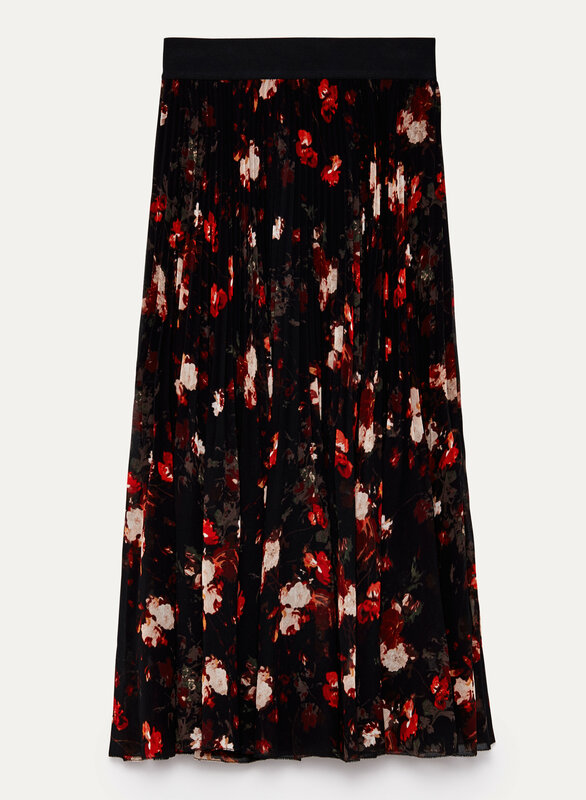 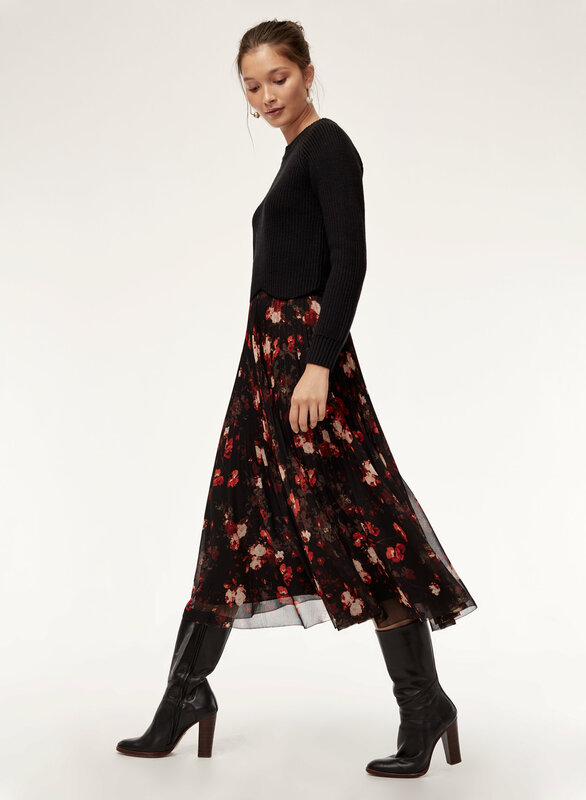 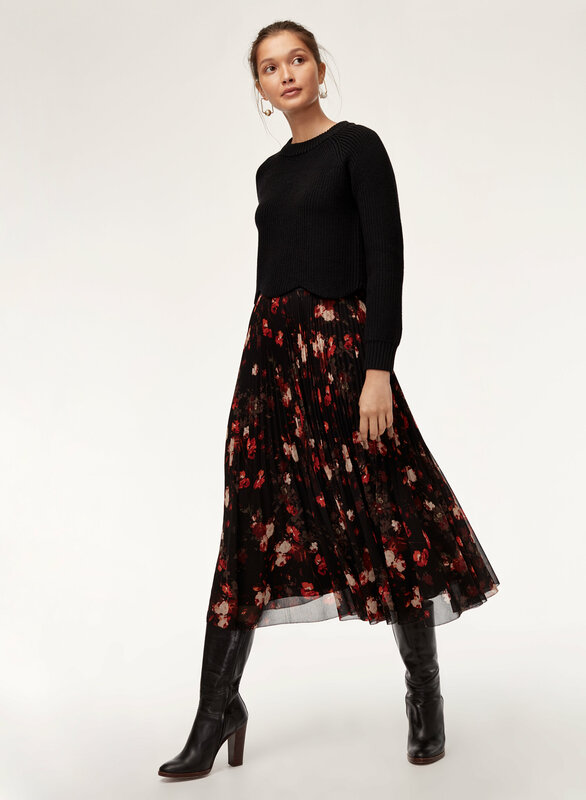 Featuring a custom floral print, this A-line skirt is made with an elegant chiffon that showcases the delicate sunburst pleats. 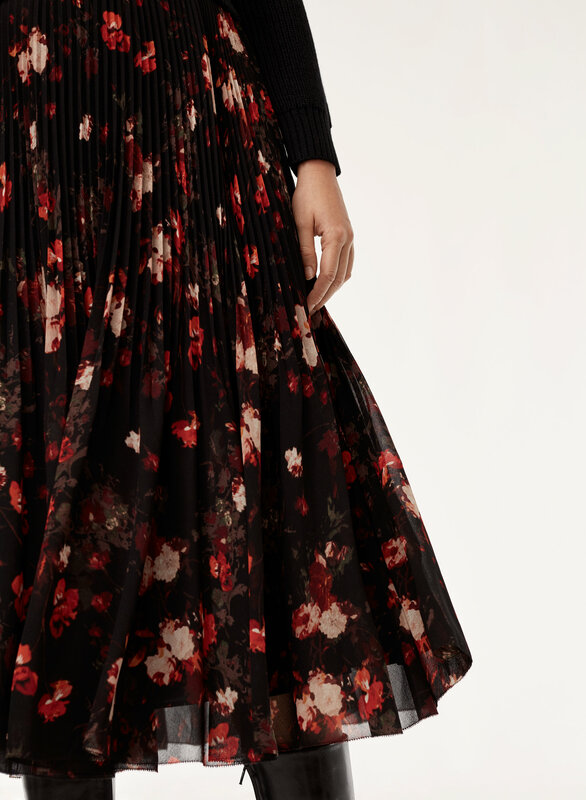 A soft, wide waistband is flattering and comfortable — plus, the permanent pleats will keep their shape.